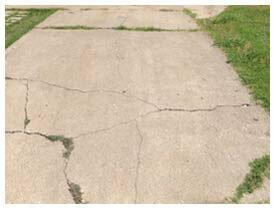 Get Driveway Repair In Plano, TX. 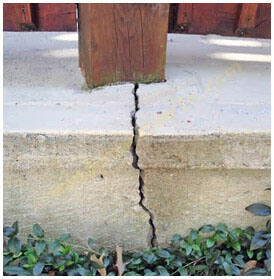 Contractors Stop Crack Damage. Need driveway repair in Plano, TX? Contact that contractors at HD. We end fractures and other damaging conditions during the process of fixing your cracked driveway. We’re known for affordable costs and provide free appraisals. If you’re in Plano and need highly professional driveway repair contractors, call us right away. Why Plano Driveway Repair Contractors? Here are four good reasons to have your driveway fixed by contractors: (1) Driveway cracks get worse over time and your surface will deteriorate if it’s not properly serviced. If you wait too long, fractures can destroy your driveway surface. (2) You’ll save on costs and avoid lots of driveway problems by enlisting driveway contractors in the Plano area to perform effective driveway repair on crack damage. Paving or resurfacing your driveway or parking lot is beneficial. By using our effective repair process to halt issues now, you can minimize fees later. (3) Having your driveway restored by contractors eliminates safety concerns. Driveways that aren’t level or have gaps in them are highly dangerous. (4) Insects can enter crevices in the surfaces of a driveway. If that happens, call driveway repair contractors in Plano. We pave and fix parking lots that are cracked or have uneven surfaces. Contractors are able to end damaging fractures during the process of making repairs by restoring your driveway to its original position. They also inhibit conditions that leads to cracking. Three techniques are ordinarily used for terminating cracks in driveways. They include: (1) Saw cutting damaged sections of them and removing them from your driveway or parking lot. This procedure terminates deterioration and is commonly utilized by contractors that service driveways. 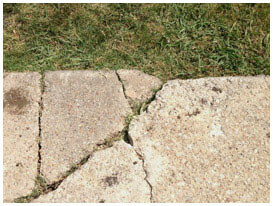 Many of our Plano customers find that this driveway repair process works great for stopping crack damage on surfaces. (2) Lifting the edges of your driveway is part of the system we use, too. It helps even the surface out. (3) Filling voids with grout or filler ends gaps and deterioration.This method can be effective on driveways, but if there’s extensive damage it may not be the best solution. It’s often useful at apartments, commercial centers and residential properties. Learn driveway repair costs in the Plano area or, for parking lot service, call contractors at HD. 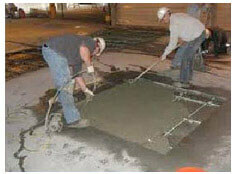 We pour and pave surfaces as well as fix them. Costs can vary greatly depending upon how much destruction has occurred. (3) Driveway resurfacing is a specific repair process that contractors commonly use to stop damaging cracks as well. To learn more, give us a call. Get Driveway Costs And Free Estimates. To find out what’s involved with fixing your concrete driveway, ask HD to stop by and examine it. There are several different processes we can use to restore it and halt fractures. If you need a driveway contractor anywhere in the Plano area, schedule a free estimate for driveway repair online today. We’ll perform an inspection and tell you what we discover. If we can be of assistance, please contact us.